Drysuits will keep you totally dry in cold water. With their heavy duty seals and waterproof zippers, these drysuits are durably constructed and keep the water out as well as block wind while you're out on the water! A watersport drysuit can be used for wakeboarding, waterskiing, kayaking and stand up paddleboarding. These drysuits are not suitable for SCUBA use. Our drysuits offer a completely watertight experience and are the alternative to wetsuits in cold water. 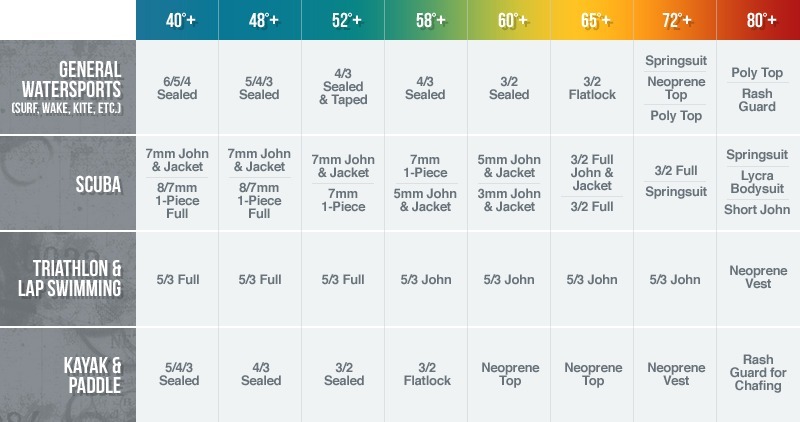 They fit like a bag and offer a bit of wiggle room, so see the unisex size chart to ensure that you are ordering the right size. And while waterproof wetsuits will keep you dry, they are not insulated. Be sure to wear a poly-fleece baselayer or your own sweatpants for warmth. To learn more about drysuits and how to shop for them, visit our Help & Advice section or speak to one of our experts at 866-906-SUIT (7848). Order a versatile and lightweight drysuit today and enjoy the moisture-free mobility you need for a variety of watersports.